While it’s really the thought that counts—and you should always be gracious whenever someone’s taken the time and effort to buy a present for you—sometimes the gift is simply, without question, unintentionally wrong for you. And if you can’t just toss it in the back of your closet without feeling guilty and wasteful, especially if it cost the giver a pretty penny, you’re not alone. How to handle an unwanted gift situation? Read on for our helpful guide. 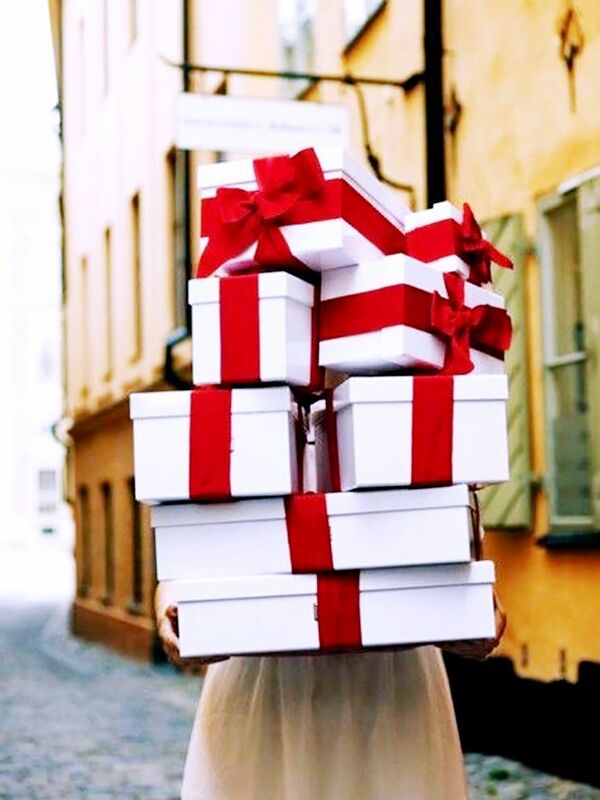 Scroll down to see our tips on what to do with a gift you don’t love! If the gift included a gift receipt, simply exchange it for something that suits you better, or return it for store credit or cash, if that’s allowed. If the gift giver asks you about the gift at a later date, it’s best to be honest and tell them that it didn’t suit you perfectly. Chances are that they won’t mind, since they did include a gift receipt after all. If the gift came sans receipt, it’s worth a shot to bring it back to the store and see if they’ll let you return it. (Asking the gift giver for a receipt could be awkward, unless it’s someone you’re very close to). Return policies are more lax than usual after the holidays. A couple tips? Visit the store during less busy hours, like right after opening, and don’t delay—the longer you wait, the more likely the item will be marked down and the less store credit or cash you’ll receive back. And don’t forget to ask nicely! For unwanted gift cards, try sites like Card Cash, which lets you sell gift cards for a check or PayPal credit. Sites like eBay or The Real Real are great sources for selling unwanted gifts. Just keep the tags on the item to get the best price. If it’s an inexpensive gift, consider donating it to an organisation such as The Salvation Army, Goodwill, or The Giving Effect. This is where you can get creative! Plan a post-holiday White Elephant party where attendees can swap unwanted gifts, or try regifting it. If you feel guilty about regifting, just remember that it’s much greener than throwing it away or never using the item. Just make sure never to regift to someone who might know the original gift giver, and never regift a monogrammed or personalised item. Don’t forget to write a genuine thank-you note to the gift giver. You don’t need to lie about how much you love the gift, but you should show appreciation for their thoughtfulness and generosity. Don’t get rid of a gift behind the back of a significant other, family member, or very close friend. They’ll most likely discover you didn’t keep the gift, and their feelings may be hurt that you weren’t upfront about it. Don’t always expect a perfect present. Unless the gift giver knows your taste extremely well (i.e. your best friend), or you told them exactly what you wanted, chances are that it won’t be exactly what you want! Our advice? Try being open-minded. You might even grow to love a gift that you were unsure of at first. What do you do when you receive a gift you don’t like? Tell us in the comments below!